Life is really fair. For the excellent 1-2-1 J product that AA installed (same as CX/BR), they’ve decided to follow EK/NZ/AF and cram 10 in a row in the back. 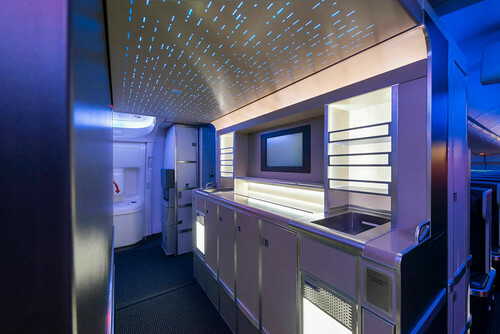 Very cool…though that “Mood Lighting” is a bit garish. Hopefully they don’t run them all at the same time like that! I wonder why they don’t have leather. what is the want to compete with the International Airlines? I heard it landed grey!! That’s a disappointment! 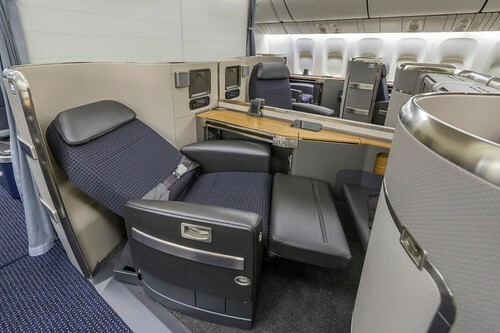 @ Matt – The photo is a little misleading in that the seat isn’t fully reclined, but both First and Business have fully, lie-flat seats. 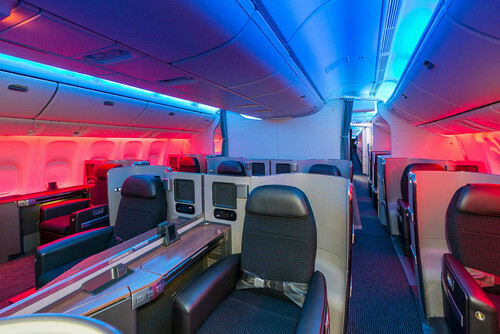 That mood lighting seems straight out of the movie Soul Plane! Expect a night club scene to break out mid flight.